With summer just around the corner, I've been hitting the gym double time to get that bikini bod I’ve always wanted. But working out isn’t enough; you have to watch what you eat too. Contrary to what your friends say, you don’t have to starve yourself to lose weight. It’s all about self-control, discipline, and eating the right kind of food. But if you don’t want to go through the hassle of taking note of everything you eat, you can pre-order a diet plan. Diet Buddy is a food delivery service which aims to make dieting fun and stress-free. 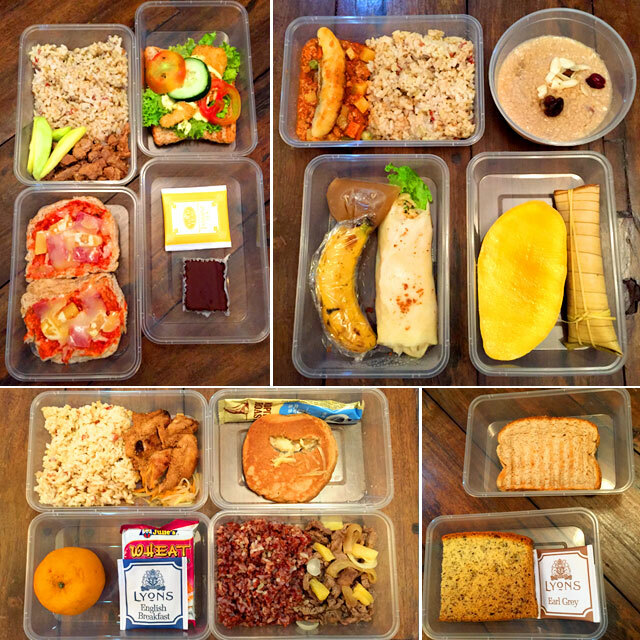 They prepare 1,200 calorie meals daily from Monday to Friday. For P1,700 a week, they will deliver breakfast, lunch, snacks, and dinner straight to your homes. Diet Buddy specializes in Filipino food, with dishes like lean hamonado longganisa with scrambled egg and organic rice (my favorite breakfast!) and chicken inasal with organic rice. They also provide snacks to munch on during the day, like turon with langka and homemade banana bread with English Breakfast Tea. I tried Diet Buddy’s program for five days and I was really happy with the results. I felt a lot lighter and less bloated than I did the week before. The meals tasted great, too! Pair it with regular exercise and you’ll be hitting the beach with confidence in no time. For more information, visit Diet Buddy Philippines on Facebook!